Posted 4:58 pm by ArrowRoofingandSolar & filed under Blog. Posted 3:00 pm by ArrowRoofingandSolar & filed under Blog. Posted 1:40 pm by ArrowRoofingandSolar & filed under Blog. If you would like much more information on just how much power solar panels produce, as well as quotes and inquiries on any solar panels for roofs, contact Arrow roofing and solar. Posted 1:36 pm by ArrowRoofingandSolar & filed under Blog. 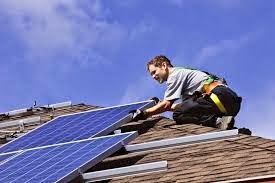 When you need more advice, information or actual quotes on Nashville solar panel technology, contact Arrow roofing and solar. Posted 1:33 pm by ArrowRoofingandSolar & filed under Blog. Posted 1:31 pm by ArrowRoofingandSolar & filed under Blog.